This extremely practical, lightweight cooking set is perfect for backpacking groups, hikers, or lightweight camping, where every gram counts on the move. Using ultra lightweight alloy the Trangia 25 is now 21% lighter than the original version. 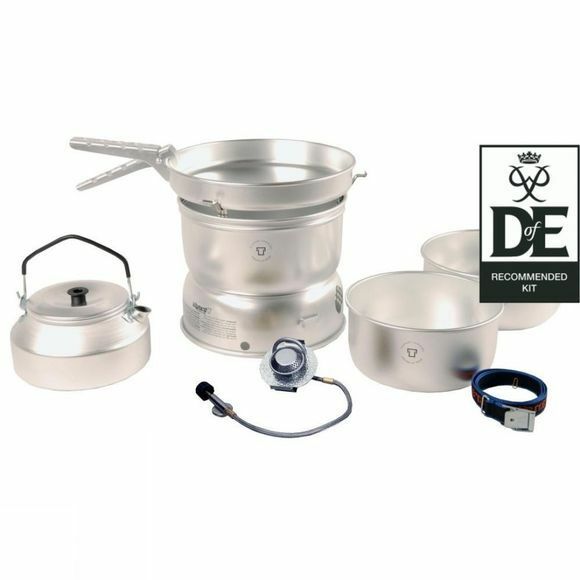 This cooking set is suitable for groups of up to 4 people.The Trangia 25 makes an excellent choice of family cooking equipment for lightweight camping holidays, with capacious pans,a wider frypan and a larger kettle. NB: Unfortunately we cannot send fuel cartridges through the post, they are however available in all our stores.